Let's make this thread the one to go to, for any type of Reason ReFills & Patches. My most respectful gratitude to all of the above people who have given us so many free ReFills & patches. We don't say this enough, but Thanks for all your hard work, it is really appreciated!!! 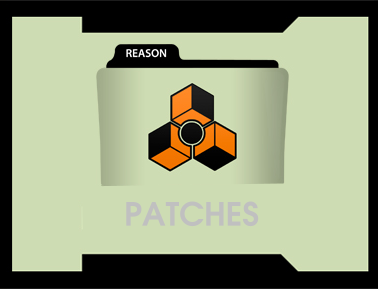 See Reason Patches on the next post. http://www.byrnehq.com/public/laser_harp_for_reason.zip - For Michel Jarre fans! Thanks Tony for the share! Cool Combis!love Lizard's guitars for Record. (Not a patch) processing Guitar through Malstrom. Combis for Fx, Mixing and Mastering tools. Stompp Thor Refill - 40 Thor patches. Lizard's OB Thor Refill - 54 Thor patches. 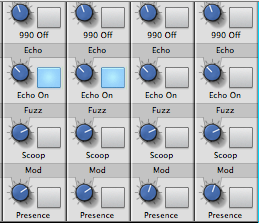 Cool Soundfonts to load on your sampler. Please admin make this stick! Looks to me like everything is working fine! I get a blank page when I click on a link. The top links work, but the ones below that are titled don't. BAM! Thank you Ed!!! And to everyone who helped make this big honkin' thing!!! Thanks to keep it up . Gonna post one of the few patches I managed to finish and upload here (if thats how this thread is meant to be used, sorry if this is only for listing and I'm supposed to make a new thread for this). I recently created a few 80s sounds based on RATTs "Out of the Cellar" and I thought I could share these and also maybe get some feedback from real RATT fans I chose this album as a reference for the sound due to some PUF member "reminding" me of it in some thread, I don't remember who it was though..
Then I also made a guitar combinator giving you that typical 80's "screaming" "in your face", *not* "corny" sound I call it "The Torch" and it has some nice combinator mappings to fine-tweak the sound The sound was designed on an Epiphone Les Paul Standard, so you might have to tweak with your guitar. Last edited by normen on 06 Oct 2016, edited 2 times in total. Thanks for bringing this over from the PUF - An invaluable thread. My old refill Revolution Refill may still be downloaded from combinatorhq. As it says, does it contain over 200 effect patches for Reason. "The modern belief in progress could emerge only on the basis of a new conception of the workings of Reason in the world" (Melzer, 2004). Thanks Flandersh! I will add that to the list. What kind of bass? Electronic, dubstep, Rockish? ...Knowing you is probably the latter right? There should be something there for your tastes. Boutique Amp ReFill for Propellerhead Reason gives you access to the classic sounds of Jimi Hendrix, Jeff Beck, Jimmy Page, Keith Richards, Billy Gibbons, Angus Young, Brian May, Steve Lukather and many more. It consists of 54 patches which are build on the Softube Amp Rack Extension. Oenkenstein wrote: Melodiefabriek´s Boutique Amp. I added the link to the Paid RE Refills section in the Rack Extension Forum sticky. Hi, We just released a new ReFill the " Extension ReFill - Korg MonoPoly"
The price for this ReFill is set to $19 USD, you can also download 20 free demo patches for commercial use. NaviRetlav wrote: Hi, We just released a new ReFill the " Extension ReFill - Korg Polysix"
« TR-606 Drums provided by www.wavealchemy.co.uk » and can under no circumstances be sold, re-sold or used as part of any other sample library without explicit permission. Les samples Monotron viennent de Tom Shear (Assemblage 23) et plus particulièrement de son blog http://waveformless.blogspot.com/ . Nous le remercions sincèrement pour son accord. Thanks a lot Frog. Highly appreciated. I will add them to the main list soon. This just reminded me: combinator skins I made a long time ago that are color-coded to match the track colors.